Braye Bay is a sandy bay which is covered by partly Wn Hafen and Stp Schirrhof. There used to be a Wn (Wn Scheinwerferhalde) in the middle of the bay but it has been destroyed years ago. Near it is an unnamed Wn. Fort Albert on the eastern side of the bay mounted a naval battery as did the old Roselle Battery in front of the fort. 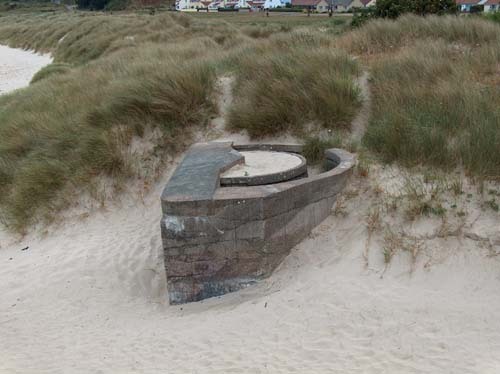 A Mg position near Wn Hafen.